Another trend we’ve seen quite a bit of in 2015 is hanging decor. Whether it be hanging paper lanterns, pom poms, or flowers with a mixture of lighting, it is all stunning. Hanging decor at your event will add drama and will definitely be something your guests will remember. 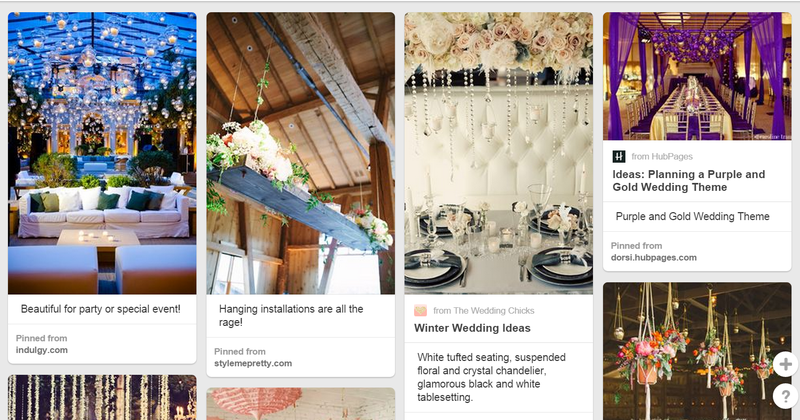 Follow our Pinterest page for more 2015 trends, as well as ideas on how to incorporate hanging decor into any of your events! This entry was posted in Inspiration, Trends and tagged 2015, 2015 trend, Decor, decoration inspiration, Design, Event, event ideas, event inspiration, Event Planning, event trends, floral, hanging decor, hanging decoration, hanging decorations, modern decor, modern event, modern hanging decor, modern wedding, party trends, Premiere Events, trend, trends, wedding ideas, wedding inspiration, wedding trends. Bookmark the permalink.